Since I had such good luck with the Williams Sonoma Cake book with the carrot cake and apple cake, I decided to try a third recipe - the Orange Chiffon Cake with Orange Glaze. By the way, you may have noticed that I'm baking a lot. In fact, as I dictate this, I'm trying to make some cookies. And the truthiness is that I need to occupy the emptiness that was the Daily Show and the Colbert Report. Oh, please negotiate and end the strike! I was at physical therapy for my arms this morning and the adjacent patient (with something wrong with his shoulder) said, "I've been in the union since I was 18. I'm all for the union... but I really need my '24'." Back to baking...I'm so tired that I'll just say - Um, not much orange flavor. The cake had 1/2 cup of fresh squeezed orange juice and orange zest, but it wasn't as orangey as I wanted. I made the glaze at work (since the damn instructions say to "serve immediately" after glazing) and that made it a bit more orangey. But I guess this whole exercise is ultimately just an excuse to go out and eat King's Hawaiian Bakery's chiffon cake! My chiffon had a nice texture, but it felt was more like an Angel Food cake with the added yolks. I need to figure out how they make theirs...and therefore I'm sure I need to eat a lot of it (research, you know). This recipe calls for 7 egg whites and 7 egg yolks. 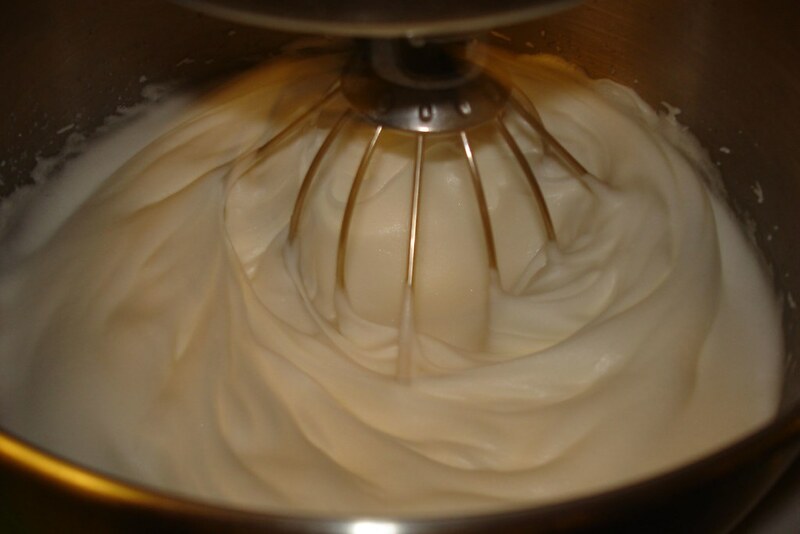 The whites are whipped and folded into the batter. 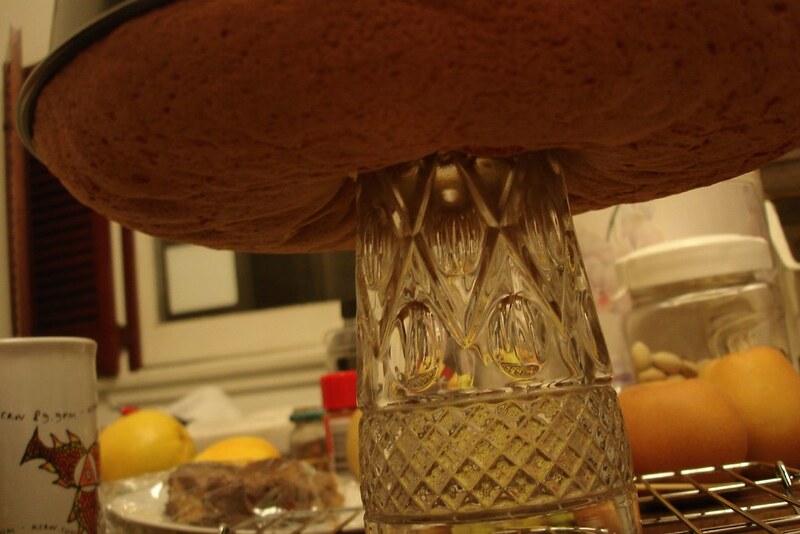 After the cake comes out of the oven, you need to invert it for an hour. I used this glass, but I need to get me a tube pan with little feet. Photo taken at work...nothing like cake and tape dispensers! 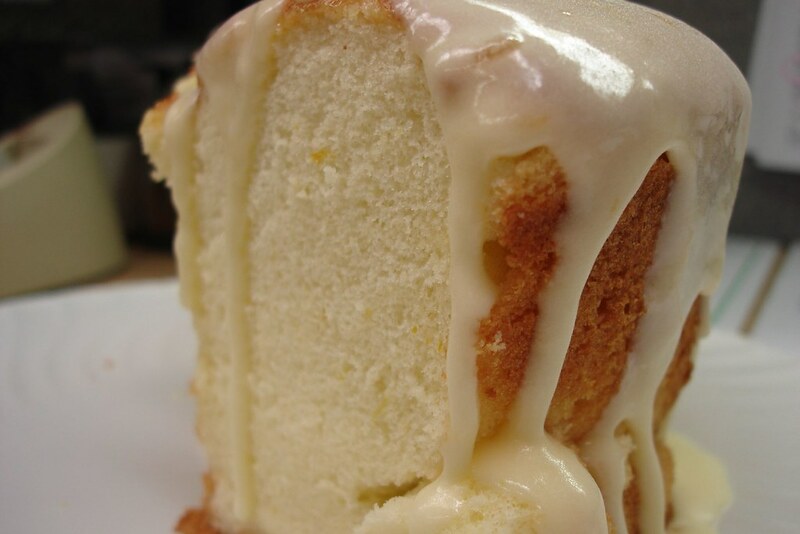 So I searched your blog to see if you've made angel food cake, but only found a passing reference to it on your orange chiffon cake. I want to make a non-boxed angel food cake, but do I really need all those egg whites (it seems so wasteful)? I shop at the co-op and they do sell a small "milk" carton of egg whites (for $6!!!). I want to go the organic/natural route if possible. I guess I could buy a carton of eggs for $2.85 and sep. the eggs myself. Also, can you recommend (read: send me) a good angel food cake recipe from one of your fancy books? Pretty please. Angel food cake is good for the dieter. 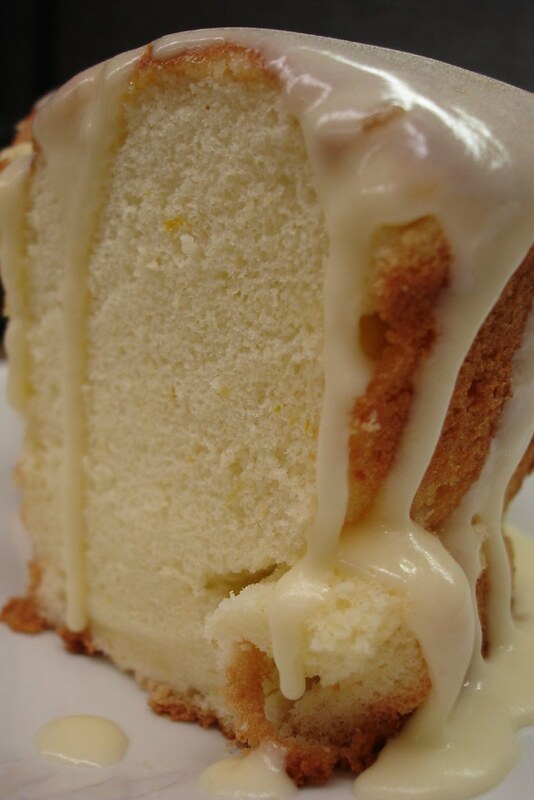 No, I haven't made an Angel Food cake yet, but it is definitely on my list. Before you go to your cool co-op (I remember it!) and pick up the carton of liquid egg whites...please note that you probably can't use them because they have been pasteurized and won't get all fluffy on you. 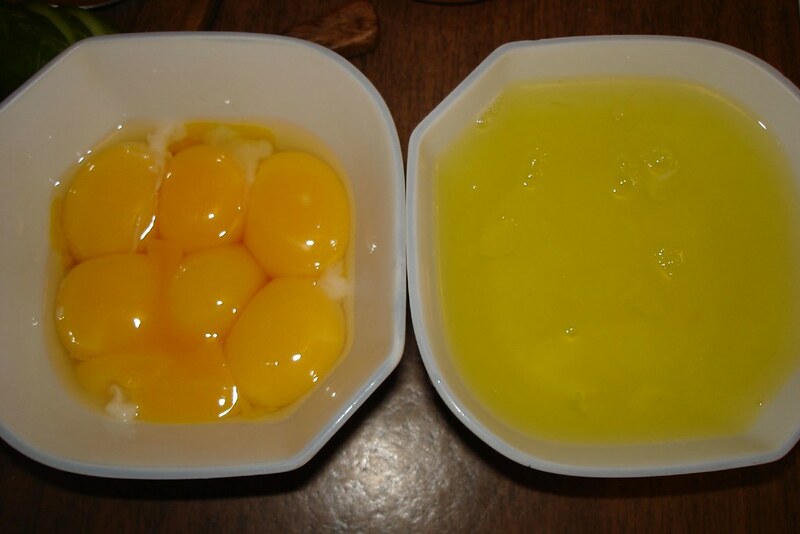 Thus, you should get a dozen eggs and separate (separate when cold, then whip when at room temperature). You can always make a curd with all those egg yolks...and freeze it until you are at goal wt. I'll send you some recipes!